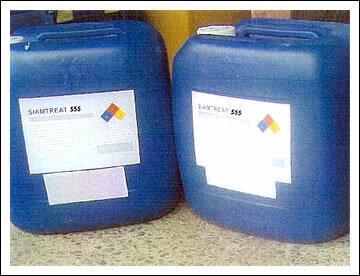 Product Description: SIAMTREAT 555 is a non-oxidizing biocide which is design for membrane fouling protection. It is compatible for all types of membranes. Products Feature: Broad spectrum. Inhibit growth of microorganism. Penetrate the surface of adhering biofilm. Applicable both on-line and off-line treatments. Completely miscible with water at point of use. Applicable with wide range of pH.